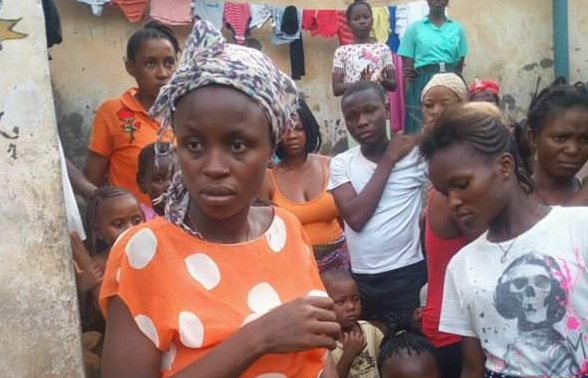 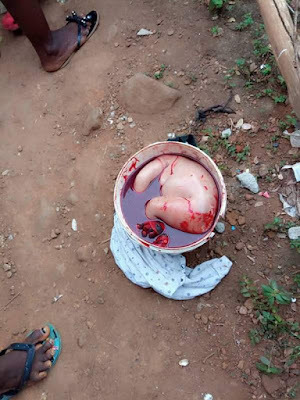 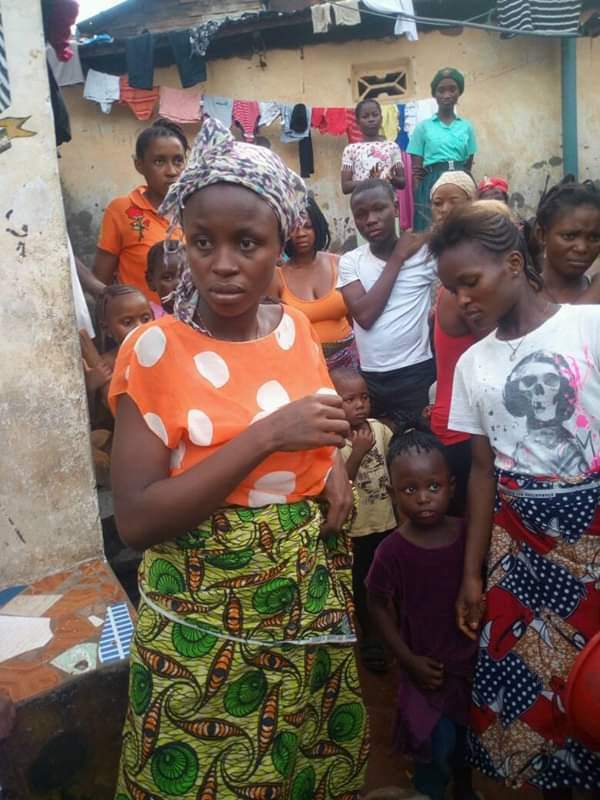 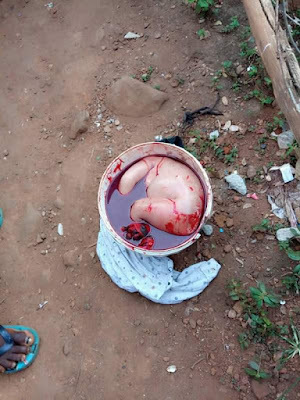 A lady has been apprehended after killing her own baby. 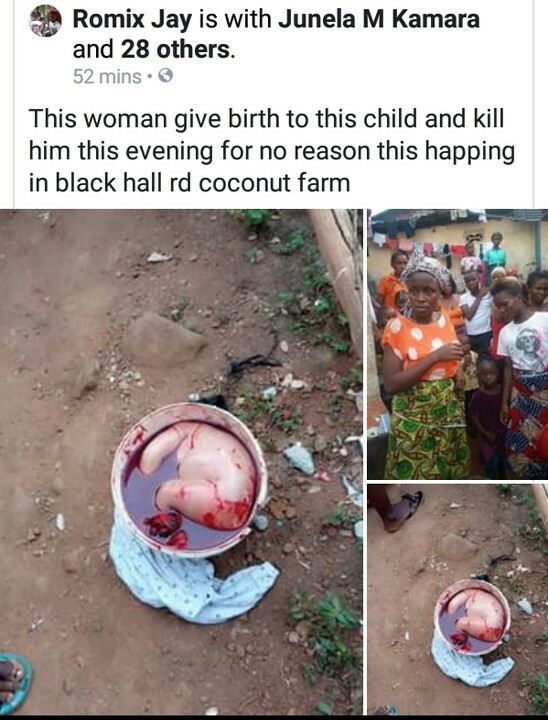 According to an eyewitness, who reported it on Facebook, she welcomed the baby yesterday and immediately killed him. 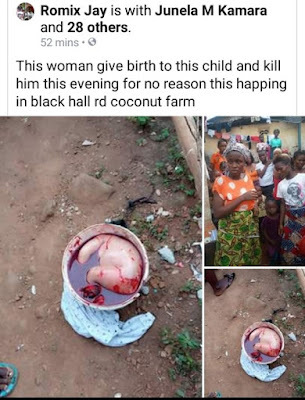 The incident happened at Black Hall Road Coconut Farm, Sierra Leone. Too sad!